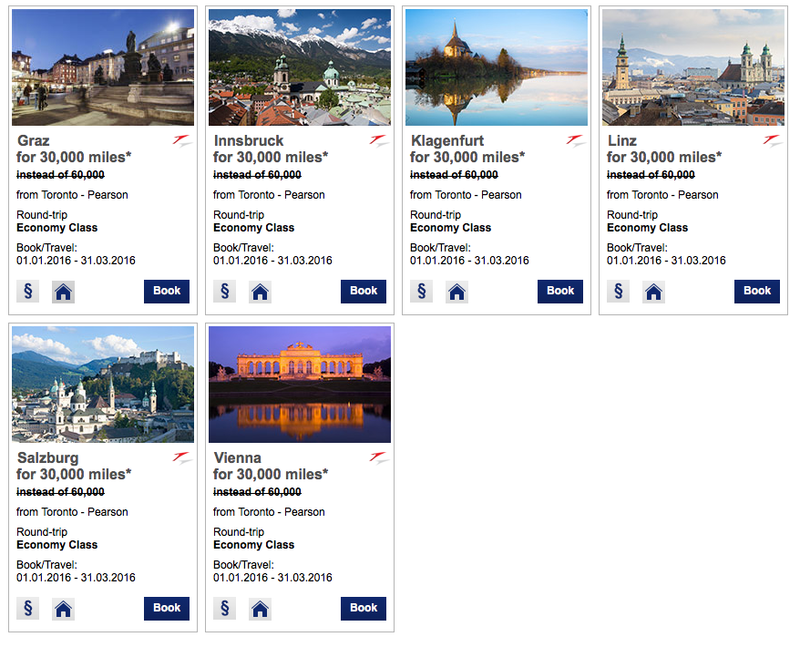 You can redeem Miles & More miles for round trip tickets on Austria from Toronto to Austria for only 30,000 miles. This is a 50% discount off the normal Economy Class award ticket price of 60,000 miles. Granted all these tickets will also have fuel surcharges but this is still a pretty good deal when you look at it as a whole in terms of miles+cash outlay. Simply book the offers seen here by March 31st .